The first of a series of posts (mostly photos) on some knitted samples I am making for an idea I have. (For those not familiar with them, these motifs are part of a massive collection of pattern cards put out by knitting machine card manufacturers over the last fifty or so years. The whole concept is amazing, as the cards are multipurpose and can be used for a number of different stitches- inevitably, I got stuck on their application on colourwork, because I am mad on patterns and colour, but they are equally beautiful when used in slip, tuck and weave. One of my knitting machine heroes, the lovely, patient and generous Christine, inherited a huge box of them, many very old, and let me rummage through- and man, was I in heaven. So I am working my way through the pile of the most promising cards, making swatches using the ends of balls and shades that I don’t want to use for anything else. Which means that the colours in the samples are not what I imagine for the end product and that I end up with a motley, disparate collection of swatches. But it feels good to use all those small odds and ends. Makes room for the many colours I’ll be bringing into the little room, if all goes well. I’d love to know if there are any patterns that you particularly like or dislike… Or colour combinations that do or might work for you. A little bit of market research. And a warning- there’ll be more in the next little while so please be patient with me- very excited! This entry was posted in knitting and yarn on March 17, 2011 by admin. Thanks! 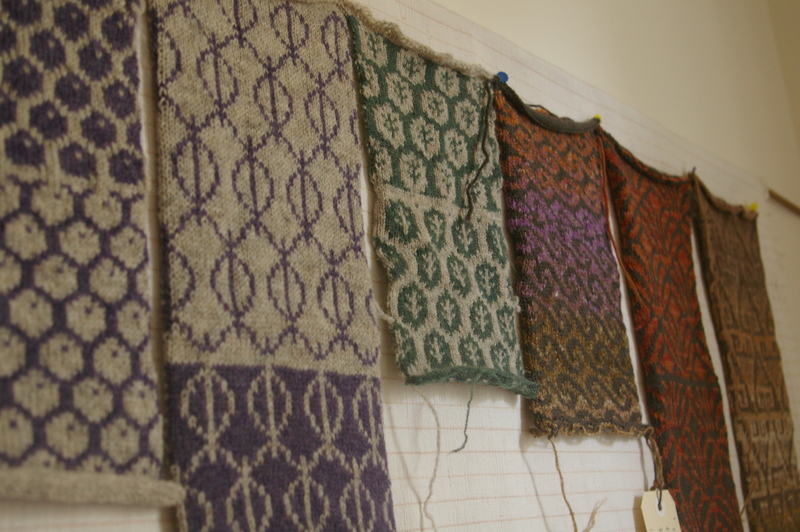 Yes, I love the shetland best- that is what I will use for the real things… I love it! I love all of them! but the favourite would be the deco inspired one! Thanks everyone : ) it is great to get such positive feedback on them- though I was hoping you’d help me cull more as I’m going to find it hard to choose between them all! I guess it is a bit hard to be without knowing what the application is. I’ll ask for more brutal assessments once the prototypes are done. What lovely samples! I think the muted colours work very well together, even though they’re not your intended colour palate. My fav patterns are the ‘olive one’ the first in the line-up and the tree/leaf one (the third sample). But they all have potential! Oh, all of them look so good! That’s not a particularly helpful answer though. 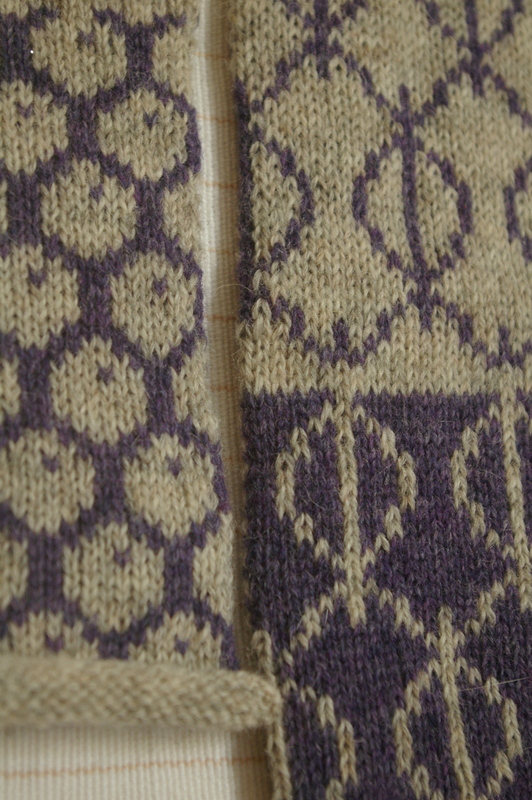 I really like the pattern on the left in the recycled shetland. 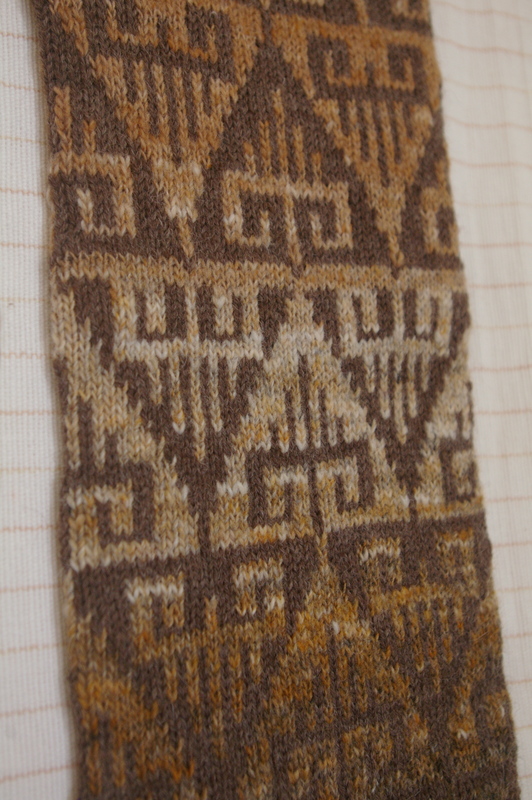 Colourwise, I like the pyramids combo of a lighter brown with a darker brown. I love the colour reversals in the shetland and lambswool yarns – I really enjoy the depth it creates and its visually fun without overloading the eye. The deco inspired designs look great too, though I’d be thinking about making the architectural elements pop out a little more with tonal contrast. 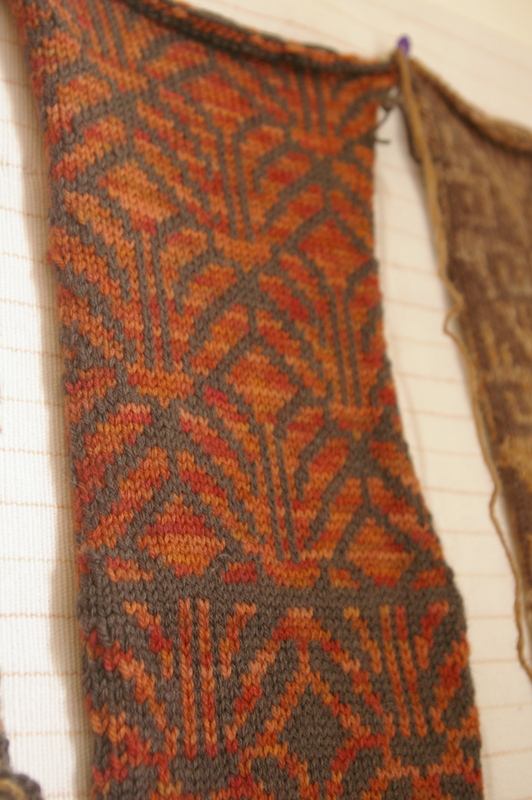 And I am stunned they were created on a knitting machine. My longing for one grows ever stronger! From a color/design draws me perspective I have to say the Noro waves and the deco inspired…..
the green leafy one in the first photo is my favourite, but then I’m a sucker for anything tree-inspired! Quite right to be excited! I think it’s personal preference and application – my faves are the purples/greens (colour-led rather than pattern first). 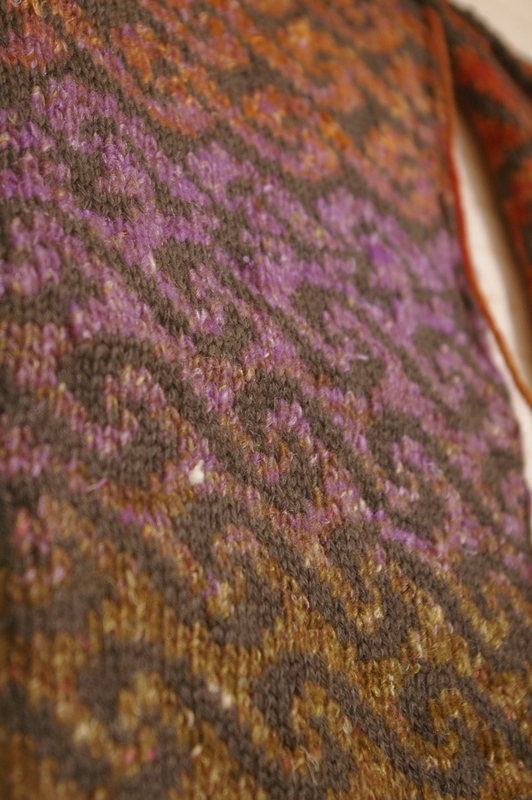 and you could sew all your samples together into a woolen patchworky ruggy blanket ….. Thanks again to everyone who has commented! And yes, definitely planning a sample swatch blanket ; ) all the love going into the samples will be cosy! Love love love these! Can’t wait for more and to see where this path is leading you!